The gases of stars tell a fascinating history. Like Bruce Springsteen says, “everything dies baby, that’s a fact. But maybe everything that dies someday comes back.” New calculations show that on a galactic level, he was correct. 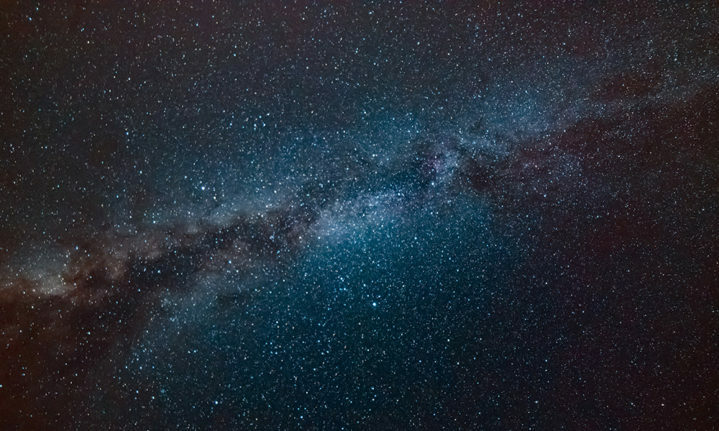 A new study shows that the Milky Way galaxy is currently in its second life, having previously died over a 10 billion year time period. The new data comes from Masafumi Noguchi of Tohoku University in Sendai, Japan and has been published in Nature. Noguchi proposes that stars were formed in two different epochs under two different sets of circumstances. While two-stage galaxies have been suggested for galaxies larger than ours, Noguchi has been able to confirm that a process known as “cold flow accretion” played a fundamental role in the formation of the only galaxy mankind has ever known. Cold flow accretion refers to how galaxies collect surrounding gas during their formative process. Since stars inherit the composition of gases from which they are formed, these gases form a history of sorts, similar to how a tree’s inner rings can reveal the story of its life. Noguchi’s story of the Milky Way begins 10 billion of years ago when cold gas streams containing what are known as “alpha process elements,” or α-elements like oxygen, magnesium and silicon flowed into the galaxy. Stars began to form out of these gases, and once they reached their natural endpoints, they were punctuated with explosions of short-lived type II supernovae. These supernovae were rich with these α-elements. After around three billion years or so of these alpha process supernovae, shock waves started to heat the gases up to warmer temperatures. With new temperatures, cold gas accretion slowed to a halt. During this interregnum period, type Ia supernovae, which last longer than type IIs, began to inject iron into these gases. The iron changed the elemental composition of the gas, and therefore, the stars. These gases began to emit radiation and cool down again, and around 5 billion years or so ago a cooling flow made its way into the galaxy and began creating a second generation of stars, this time rich in iron. Among these second-wave stars include Earth’s very own sun. The Milky Way is full of surprises. Another recent study showed that it might be twice as largeas astronomers previously thought. And while 10 billion years might sound like a long time, some of the galaxies surrounding the Milky Way might be the among the oldest galaxies in the universe.